A Case of Polymyalgia Rheumatica - Oxford Biomedical Technologies, Inc. 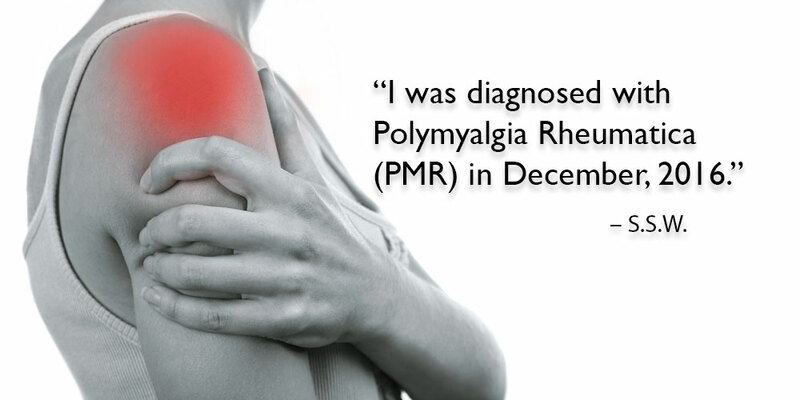 I was diagnosed with Polymyalgia Rheumatica (PMR) in December, 2016. It began as bilateral hip pain that then migrated to shoulder pain. In the months leading up to my diagnosis, I was tested for Lyme Disease, micronutrient deficiencies, thyroid issues, Celiac Disease and Rheumatoid Arthritis. After referral to a Rheumatologist for further testing, I was given the diagnosis of PMR. Treatment of this painful, inflammatory condition often involves a year of Prednisone. I was not in favor of this option for many reasons but primarily due to osteopenia and the effect Prednisone may have on my thinning bones. I started working with a physical therapist and an acupuncturist as well. Sleep was poor and I had difficulty dressing myself, putting on a coat, closing the car door, doing laundry and was losing range of motion in my arms. In order to rule out any other forms of shoulder injury, I had x-rays and ultrasounds. I was given the diagnosis of a “Frozen Shoulder,” in March of 2017, related to the accommodations in movement I was making due to pain. After 6 months, I decided to try MRT blood testing and LEAP, before considering medication as a last option. I began working with Stefanie Williams, my dietitian and Certified LEAP Therapist (www.stefaniewilliamsnutrition.com). She helped me implement my LEAP plan, while also considering that I have been vegetarian for 13 years. My results were great! On day #10, I remember going out to my car and being able to reach up and close the hatch. Sleep improved to the best it has been in more than a year. And now, six months since starting LEAP, I have been living pain-free, eating a great variety of foods, doing yoga and walking my dog daily. I look back on this past year and fully appreciate LEAP and a pain-free life, without needing any medication. This is a testimonial from a client of Stefanie Williams, MA, RD, CLT, LDN.